5 Tips for the 20-something traveler from the Veteran Traveler. Yesterday was my 30th birthday. I decided a few weeks ago to spend my 30th birthday in Portugal and Spain. Portugal was country number 35 which blew my goal of visiting 30 countries by 30 out of the water! Anyway, I am having a fabulous 30th birthday trip but I also keep noticing that the other “world travelers” suddenly seem impossibly young. I watched a shiny new group of travelers at the airport earlier this week. A few years ago I might have joined in on their political discussion or accompanied them on a adventure to see a kid named Zven jump off a cliff. However, as I listened and watched I was suddenly and acutely aware that I no longer fall into the category of 20-something hostel going, dreadlock donning, backpack toting traveler. That was me for a time (minus the dreadlocks). I did that. I was that. I had the unbelievable fortune of spending a large portion of my 20’s traveling the world. I visited 35 countries, countless cities, numerous landmarks, and have had a lifetime worth of experiences to show for it. And while I will never stop traveling, my traveling looks different now. I have traded in the hostels for comfortable and cozy Airbnbs. I wear adult clothing, shower regularly, and do not have to worry if a girl named Forest is going to use my toothbrush in the community bathroom. I have traded in my flip flops for professional looking flats and the awkward heavy backpack for sensible rolling luggage. So, Instead of being the crazy old lady trying to fit in with the cool kids at the airport, I sit back and listen to them with a wise knowing smile. I let them have their youthful moment. My time has passed. I smile as I watch them go on their way to learn whatever they are going to learn on this adventure. I am glad that I got to experience that in my 20’s and thankful for the lessons I have learned now that I am in my 30’s. 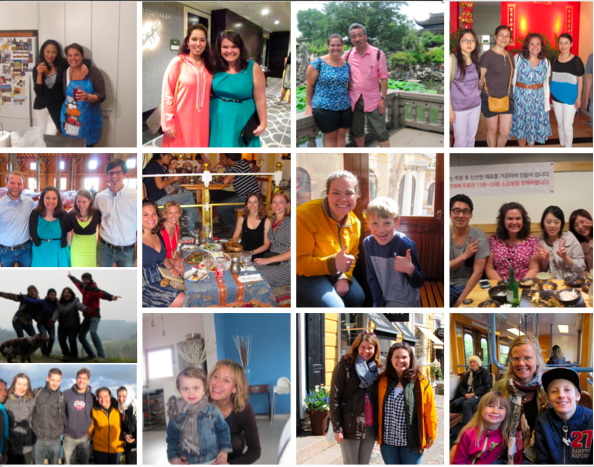 I have learned so much about travel and life and myself in this past decade. I may no longer be a cool youthful traveler, but I now have a new role. I am the wise sagely veteran of the trade and I have some tips for the 20 something Travelers. My top 5 Tips for the 20-year old traveler. #1 You don’t have to use a backpack to go “backpacking” through Europe. Ok. I know that the backpacks with all of the patches look cool. I know that they make you feel like you are a down to earth, granola eating, world loving globetrotter. I know that they differentiate you from the retired couples who are on their 5th Viking Cruise through Europe. But lets face it. Giant backpacks are TERRIBLE. They are big and bulky and painful. Basically they are THE WORST. And they make it difficult (nay… sometimes impossible) to move around the tiny little European shops/ hotels/ restaurants. And there really is no need for this painful and frustrating luggage system. Unless you are hiking, or camping, or walking El Camino de Santiago, there is not a reason to tote all of your possessions on your back like a pack mule. All cities and even all little towns have sidewalks or roads that can be used to easily roll your bag to your hostel/ hotel/ airbnb and leave it there. Use a small carryon sized roller and It stays perfectly controlled at your side the whole time! Long gone are the days where you have to make sure you don’t knock over a display with the 40-pound growth on your back. Now that I am older and wiser and use rolling luggage I am so much happier and less encumbered with my stuff. Not once since my conversion to the church of the rolling luggage have I thought….Gee….I really wish I could hoist up this bag and carry it on my back right now. I am certain there are no actual benefits to the travel Backpack. Take it from the old 30 year old traveler-Rolling Luggage is the way to go. It may not be as cool, but it is definitely more liberating and so much better for your back. Unless you are Ansel Adams, leave the fancy cameras at home. They are big. They are bulky. And they are expensive. Therefore they make you paranoid, encumbered and nervous. They are also literally a giant “I’m a tourist Sign” you wear around your neck. Also, because you have to actually download the pictures onto a computer before you can share them, they often stay on the camera during and oftentimes even after the trip. I have discovered that I never end up doing anything with my “Fancy pictures” and I often regret not having the photos on my phone. No one wants to wait until they get home to post photos. It is more fun to post as you go. And honestly most of us are not trained to use the manual cameras properly anyway. So, unless you really know what you are doing and are in fact going to do something with the fancy pictures, leave the big bulky cameras at home. Blend in with the locals and just use your phone. #3 Don’t get an international phone plan. Be present! Use your phone to take your pictures, but that is it! Instead keep your head up, your eyes open and your heart ready to learn and grow. I have never gotten international phone services. Wifi is so available and prevalent there really isn’t a need to pay for an international plan. And really, as long as you can find Wifi at least once a day- that is all you need. The rest of the time just live in the moment! There are times international data would be helpful, but honestly, it is much more fun and novel to be unplugged. Perhaps one of the reasons I love traveling internationally is due to the fact that when I travel I am completely unconnected. I’m not constantly checking my phone for emails or updates or likes or new posts. I am truly and completely present in the moment. I am only concerned with the here and now. Plus going “unplugged” has forced me to become skilled at map reading and navigation. I am not typically the most observant person. I don’t often notice the mundane and I don’t pay attention to my surroundings unless forced. When I travel without a phone or GPS to guide me I have to notice everything or I would be lost. And sometimes I do get lost….and that is ok too! Some of the best things on my travels have come from being lost! You don’t have to have all of the answers. Sometimes the struggle and the wondering and the figuring it out on your own is part of the journey. So, keep your eyes up off your phone. Stay unplugged and learn to rely on your own intellect, not Siri’s. Everyone is put in your path for a reason. The best thing you can do while traveling is talk to those around you. You never know what friendships may be forged, what advice may be given or what help may be offered. I can’t tell you how many blessings have come from talking to random strangers on my travels. Years of traveling alone had done much to improve my deftness of making a certain type of acquaintance I categorize as “stranger friends”. These are random people I have met on my travels. These friendships are sometimes fleeting in length but essential and no less true than the ones formed in more traditional settings and with more natural tenures. And sometimes these friendships have foraged into lasting real life friendships. I am so thankful for the friends God has sent me during my many journeys. These friends provided me comfort and companionship when I needed them most. And sometimes they provided just the assistance and guidance I desperately needed at just the right moment. For example, Last night I was alone on my 30th birthday. Yet, in line for drinks on a rooftop bar in Madrid I met another solo traveler. She and I started talking and roaming the city together. We shared a meal and even later on a birthday churro! We had a lovely time. It all started because I turned around and started talking to her. Even if you travel alone, you never have to be alone if you don’t want to. You travel to learn about the world, and meeting random people is the best way to learn and grow! You never know what truths they can speak into your life-or what truth you are meant to speak into theirs. God sends them to you for a reason. I have had many stranger friends show up in my life right when I needed them most. You just have to have the courage to look around and talk to people. And while the names of many of these stranger friends escape my memory, their phantom faces often flash across my mind. I wish them well, I thank them for the kindness they showed this random traveler and I thank God for sending them to me. #5 Go for it! Don’t be afraid to spend your money. Let me preface this with saying that you should NEVER go into debt to travel. I have never been in debt because of my travel purchases or decisions. I have lived frugally and have learned how to creatively travel on a teachers salary. In fact out check out my blog on how to travel extensively on a teacher salary. I save fiercely for travel, but once I’m abroad I have learned to not be afraid of spending it. I learned my lesson early on in my travels that it is better to spend your money on the experiences in front of you than to hoard your money and leave with regrets. I call this the Gondola mistake. The first country I traveled to independently was Italy. Venice was the first city I visited and I didn’t take a gondola ride. The ride would have cost me 40 Euros. I had 40 Euros. I just thought that was too expensive and I didn’t want to waste the money. Looking back now, this seems laughable to me. I was in Venice and I didn’t go on a gondola ride! Really?! For what? Something as common as money? 40 Euros? I’m sad to admit that I have spent that much on a big brunch before. I would not have missed those 40 Euros for one second. Money has come and gone since then. What has stayed was the regret of missing out on a lifetime experience for fear of spending too much money. I now have a desire to revisit Venice in order to have a gondola ride in Venice Italy. And it will most certainly cost me more than 40 Euros to revisit the city. You see, this experience taught me that sometimes things are expensive when you travel. But if you are there you might as well do and experience what you came there to do. (Within reason). I often ask myself if my decision to buy or not buy passes the gondola test. First I make sure I have the money. Remember- Never go into debt for travel. Then I ask myself, will I get home and regret that I didn’t spend the money. Will I feel the need to return to do this experience in the future? Will I spend more money on a return trip than just doing said activity now? If the answer is yes to any of these questions I go for it. I spend the money, because money can be regained. Experiences, once lost, are lost forever. I will never again be able to feel the joy of taking a gondola ride in Venice on my fist day in Italy on my first international trip. So, my advice to the 20 something traveler- Just go for it! You have my permission. Open your heart and eyes for any new or interesting experience and live your life as fully as possible. The world is so full and so interesting! Take it from the seasoned traveler- The world is an amazing place if you just have the courage to step out your door and look! You are right. It is confusing and counter intuitive. If I am being brutally honest with you, the math in a typical secondary level Finnish classroom is not particularly rigorous or advanced. While the instruction is sound and I have few critiques on the actual teaching, the topics covered in most classes were not extremely difficult. The actual calculations and content covered in a 9th or 10th grade level class, even the honors classes, were all topics I could easily assign to my high achieving 7th graders (Finnish 6th graders). So, what enables Finnish 15 year old students to rank at the top of the PISA scores while the U.S. scores remains incredibly average or even below? How do Finnish students, who spend their evenings skateboarding, playing video games or hanging out with friends, perform almost as high as those from Singapore or Korea where kids go to a “second school” after public school until 10:00 pm and follow that up with 4 or more hours of homework? It doesn’t add up. Finland’s education system sounds great and wonderful and full of sunshine and rainbows, but how does it work? How are they getting such great scores in math? 1. It is all about the law of Averages. Finland is a country where everyone does “Well”. Finland, a country that prides itself on equitable education, does a great job at getting and keeping everyone on the same playing field. Mirroring the philosophy of their society and governmental structures, education in Finland is more concerned with the collective good and making sure that every student does well instead of focusing on competition, tracking and ranking. The result is that every student learns what they need to learn and does quite well at the basics, but not much more. There are very few high achievers. In fact on the recent PISA assessment Finland, while ranking far above the international average, Finland only had around 15% reach a top performing category, while the Asian Nations who beat Finland had between 30 to 50% of their students reach that top category. Yet, at the same time Finland had very few students on the low spectrum. In Finland no one is pushed to become great, but no one gets left behind either. When everyone in society is doing at least “okay”, this creates a collectively high average that beats the average of a country like the U.S. or China that have gigantic educational achievement gaps that mirrors their societal and economic structures. It isn’t a secret that the U.S. society is obsessed with competition. This mentality has created an education system that continually pushes students to learn and achieve at high levels. Which isn’t necessarily bad. Our system, that is based on competition and ranking, is very good at creating a huge group of students who excel and thrive in very advanced mathematical courses. However, we have become so focused and intent on pushing our kids to learn more and more, that we create a hole in actual student understanding and their natural progression of learning. It is starting to become common practice to put 5th and 6th graders into Algebra, which I think is crazy, unnecessary and detrimental! U.S. kids are very good at following steps and getting the correct answer, but they have no idea what those answers mean or how they can be applied to real life situations. And while all U.S. students are exposed to much more mathematics than the average Finnish student, this doesn’t mean they actually understand or retain all of that math information. And many can’t keep up with the impossible standards. Thus, we have the flip side to the American coin. We have a massive amount of students, especially in less affluent States and communities who are failing math completely. In the spitting image of our American economy, we have a large successful group at the top but an even larger group at the bottom who pull our collective score below international averages. Finnish academic performance also reflects its economy. Everyone does well or at least okay and so the collective scores are high. It is no accident that academic achievement mirrors the country’s economic structures. We will never fix our broken education system in the U.S. until we fix our broken economic system. Students will continue to fail academically as long as they live in fear, hunger and poverty- no matter what educational reforms or policies we enact. To the most extent these roadblocks do not exist in Finland. All students are fairly equal in terms of provisions and care at home. Most Finnish students come to school feeling safe, fed, loved, wanted and ready to learn. However, I wonder if this “everyone is doing okay, so lets not worry about it” mentality is going to be a problem for Finland in the future. I have visited several math classrooms all around Helsinki and I often think that there are a handful of students that could be pushed to learn more and perform at higher levels. Perhaps a little more competition and challenge would be healthy for Finland’s youth. Like everything in life, there is usually a happy medium. 2. It isn’t about Calculations, Formulas or Factoring! Math classrooms in Finland do not focus on calculations, solving algebraic equations, or what I would call formal mathematics. In fact I visited a 9th grade honors classroom where students were learning how to calculate the volume of a triangular prism for the first time. They were also struggling with what I would consider basic algebra concepts that would be simple to my 7th graders. However, It didn’t take me long to recognize that Finnish math education isn’t overly concerned with calculations or formulas. The kids in Finland don’t do rows and rows of algebraic problems. They don’t sit around factoring complex equations for months on end. They are taught more practical skills and ways of thinking about and learning mathematics. And if you take a look at the PISA questions you can quickly see why Finnish students are succeeding and U.S. students are failing. The questions do not look like the questions on an American math exam. There are no equations to solve or problems to calculate. I recently took the PISA exam out of curiosity and to my surprise it looked more like a logic exam than a math exam. There were no what I would call “pure” math questions. They were all logical real life questions. I could do most of the problems in my head. All I had to do is sit and think the question through rationally and use my previous experiences and knowledge of the world to help me work out the problem. I didn’t reach for a pen and paper once to calculate or solve. This is the KEY my friends. The PISA exam does not measure a students ability to solve a mathematical equation or calculate the answer to a directly given math problem. It doesn’t require factoring skills or differentials. The mathematics used in this international assessment of “What students should know” is actually fairly simple and straightforward every day math. The math itself is not complicated or difficult. The students must read the problem, assess the situation, and figure out the answer. And the Finnish students who have been treated more like adults than children have more real life experiences from which to pull to problem solve. They have been given independence at a young age and have therefore figured out how to deal with real-life issues and problems on their own. They have also had an education system that has not spoon-fed them all of the answers. They have learned how to read through a problem, think it through logically and actually attempt to find an answer before they give up. The U.S. needs to focus less on actual drill and skill in mathematics and work more on problem solving and logic. Our students, who are very good at solving equations and doing calculations, have no idea WHEN to use one equation/ calculation over the other. Yes, they can apply their good calculation skills 30 times in a row, but being able to read a problem and identify which calculation should be used in a given situation is a different story altogether. Also we need our students to actually read the math questions and not give up when they see a paragraph. They need more mathematical literacy skills and less “formal calculation” skills if they are going to compete globally. In any given week in Finland I will meet or talk to more people who have a degree in physics than I have met in my ENTIRE life in the United States. I swear- everywhere I go in Finland I find someone who studied physics or is currently getting their PHD in the impressive and very allusive field. It is crazy to me- Physics is not something that is very common in the U.S. I am a math teacher. I have a degree in mathematics and I have never taken a physics course. Ever. The physics teacher in my high school was crazy so I avoided her class. I therefore was too intimidated to take a college level physics course and opted to take a chemistry course for my science requirement instead. The concept of Physics is terrifying to most Americans. We don’t know it, we don’t understand it and we assume it is a field for only the highly gifted and talented. While it is common for U.S. students to take ONE physics course in high school, it isn’t a requirement. They also are not exposed to very much physics before the age of 16. However all children in Finland take physics as part of their regular curriculum. 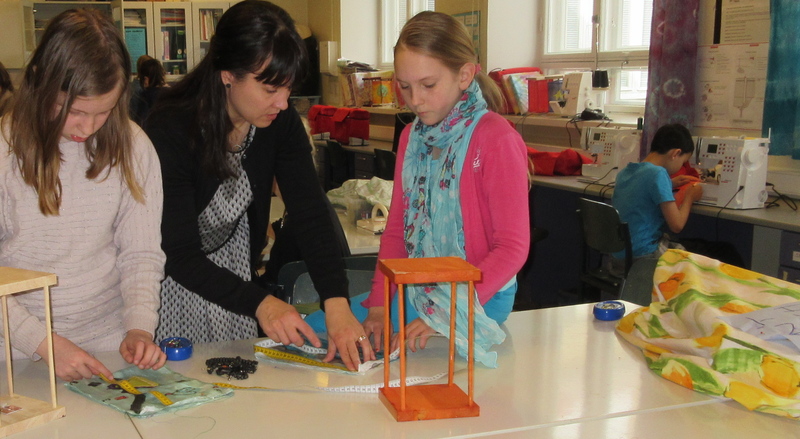 As early as 4th or 5th grade Finnish students learn the basics of physics. They have a physics class every year in middle school and high school. Most of the math teachers are also qualified to teach physics. It is a common subject and one that does not breed disdain and fear. In fact many of the students I have questioned or interviewed stated they actually prefer their physics classes to their math classes. Why? They prefer physics because it is actually APPLIED mathematics. The students can see how math is being used, applied and how it is relevant to the actual physical world in which they live. When you look at the questions being asked on the PISA test the questions are more geared toward an understanding of physics than actual mathematics. This is the huge difference. While American 15-year-old students can calculate circles around Finnish students, they are clueless when it comes to physics and mathematical application. Our students don’t know how to properly apply the math they know so well. Where Finnish students, who have had years of physics classes, understand the questions being asked and know how to apply their knowledge of math in a real and logical way. The more I travel and work internationally, the more I realize what an outrageous blessing it is be a native English speaker. It is a gift, a powerful gift, that I do not take for granted. This incredible highly pursued and valuable skill is one that I inherited naturally because I had the fortune to grow up in an English speaking household and in an English speaking country. This incredible advantage feels very much as if I have a secret key/open door through which I can easily and confidently communicate to the entire world. I understand the profoundness of this advantage and I am thankful for it every day. 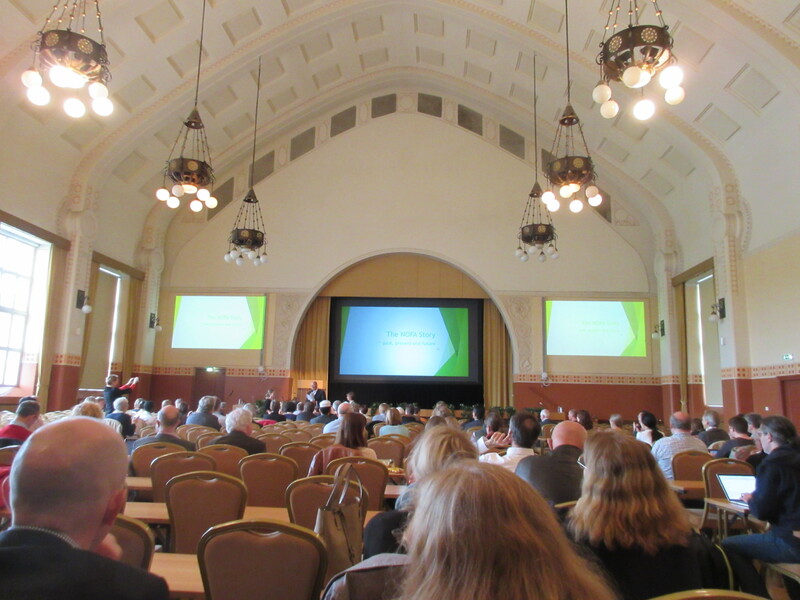 Last week I attended the 5th Annual Nordic academic conference on Subject Teacher Education. This was a conference that brought together University researchers, professors and doctoral students from Universities in Sweden, Norway, Finland and Denmark. The purpose was to exchange ideas and promote the development of Nordic education. The language that was used for this Nordic conference was English. All of the lectures, Keynote speeches, PowerPoints, printed programs, signs and directions were all in English Most of the discussions at the dinner table were in English. There were over 250 different lectures and presentations and all were given in English. Yet, I was one of only a handful in attendance who’s native language was actually English. And I was suddenly reminded what an extreme gift and blessing it is to be a native English Speaker. I could listen to the presentations easily. I could process the presented information comfortably and rapidly. I did not have the added challenge of many of my peers who had to translate the technical papers and jargon in their heads while also trying to also learn and process the new information. When I sat down to a dinner table full of a combination of Swedes, Finns and Danes I knew that the language of choice would be English. At times I felt guilty that the entire conference was being led in a language in which I was one of only a handful in attendance could claim as their mother tongue. This I am learning, however, is the way of the world. English is becoming the instrument of global communication. It is especially how European nations communicate to and with each other. This was not the first time I had been made aware of English’s global presence in the world. I have been to over 30 countries and I have never had any major difficulties finding directions, advice or even friendly conversation in English. I have yet to visit a country where I could not find someone who understood at least a little English. Some parts of China were a little less fluent than others, but I would usually be able to find someone (usually a teen) who could easily answer my questions and help me get back on the right path. When I was traveling from hostel to hostel in New Zealand, there were times when I found myself listening to random conversations between international travelers. These groups would included random variations of German, French, Italian and Dutch students and their vehicle of communication was English. At first I had assumed everyone was politely talking English because I was in the mix. However I began to notice that even when the native English speaker was not part of the conversation ( Instead she was rudely eavesdropping) the medium of communication was still English. Everywhere you go (Even Cambodia!) information in English is readily available. If you ask you can usually find an English version of any map, menu or information packet. My experiences demonstrate to me that English isn’t going anywhere. It is going to be the way in which nations communicate with each other in the future. Most researchers want their publications to be in English. Most international companies conduct their business in English, and most international social events and gatherings are conducted in English. I watched Euro Vision for the first time this year and most of this event was broadcast in English and most of the songs lyrics were English as well. It can’t be escaped. It is becoming the language of the world and it is being categorized as “Powerful Knowledge”. At the conference a few of the keynote speakers alluded to the fact that in Education we must give our students the education skill set that empowers them. As educators our primary focus should not be mere facts or even arbitrary skills. Instead we should be selectively teaching Powerful Knowledge Skills that empower students to be leaders and innovators in the world. English was included in that powerful knowledge skill set. I feel a little conceited writing all of this as a native English speaker. It sounds arrogant and elitist of me. It sounds as if I think my language is the best language. I DON’T! English is a dumb language with silly rules! It makes no sense and is not even very pretty- especially when compared to Latin based languages. If it was based on beauty or logical structure I think Spanish would win! It is not that I think English is a better language than any other. There is however, no denying that being fluent in English is a Powerful Skill. It opens doors and possibilities than many languages of the world simply cannot. Students around the globe want to know and must know how to communicate in English in order to be able to compete globally and advance themselves in their careers. This isn’t new information to Europe. Most of the world has known English is important to learn for a long time. I just wanted to express my understanding of how truly blessed I am to have grown up speaking and knowing this language. I want every native speaker of English to recognize how fortunate they are to be able to communicate freely and openly with people from around the globe. That is a gift my friends, an amazing incredible powerful gift and we take it for granted. I also want to thank all of my wonderful friends around the world who have graciously spoken English to me. I understand this is not always the easiest for you. I see all of the hard work and effort you are making to be my friend and communicate with me. I appreciate your efforts and willingness to speak with me more than you could ever know. I am always amazed and impressed by your ability to be so articulate, gracious, funny and warm in a language that is not your own. I am so incredibly blessed and thankful for having you in my life! You all are incredible and talented and I look up to you in so many ways! I am impressed and humbled by your skill and I love you all! Learning by Doing! 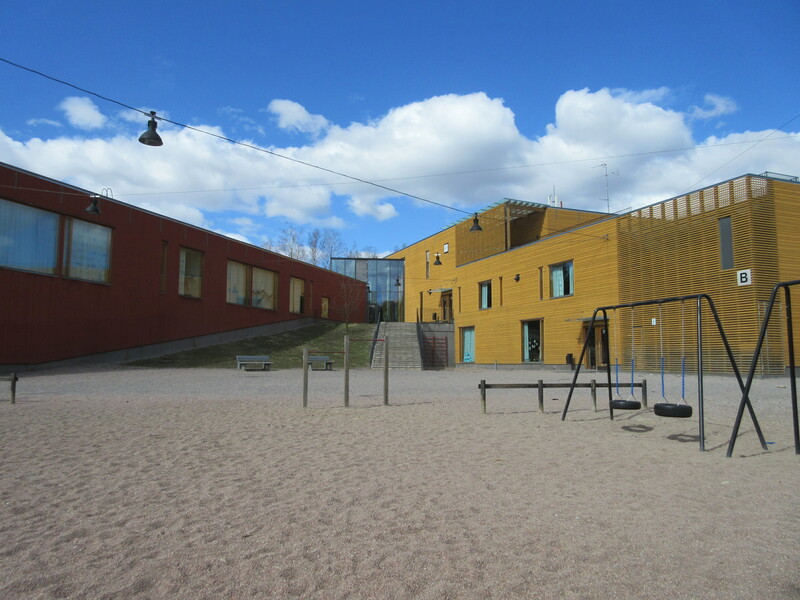 11 Life Lessons learned in a Finnish Classroom. We don’t make anything anymore. Don’t get me wrong- I know there are several talented crafty people in this world who have dedicated their lives to creating beautiful and functional works of art. However, in today’s world of instant gratification and consumerism, it is unusual to find someone who creates most of their own possessions. When was the last time you wore a homemade outfit? When did you last build shelves, a stool or a doorbell on your own? Why would you waste your time and energy building something that you could easily buy at the store for less than it would cost to buy the tools and materials to make? The art of creation is slowly dying. No one sews, or builds, or does their own wiring anymore. If something is broken, instead of fixing it, we simply buy a new version of the deceased article. Woodworking, sewing and knitting are becoming obsolete archaic skills that do not have a place in our world…. let alone our classrooms. We don’t have enough time to teach the basics of math and English. Why would we waste time on knitting? Yet, these so called archaic skills are at the FOUNDATION of Finnish Education. 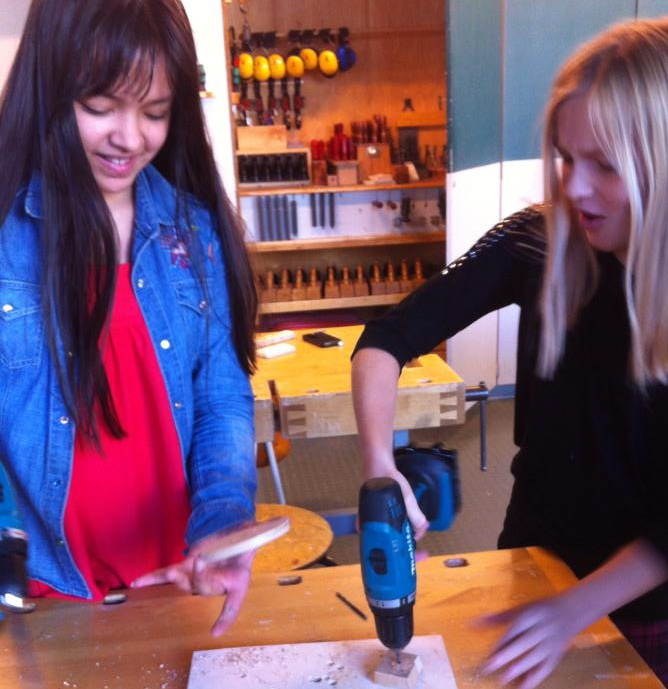 One of the aspects of Finnish education that has made the most sense to me as a math teacher has been the early focus on something called Craft Education. From as early as 1st grade, students spend a few hours a week learning how to do useful handy skills such as sewing, woodworking, knitting, cooking, cleaning, sawing, drilling, hammering, and much much more! Finland does not see these basic skills as outdated or obsolete. Instead they recognize the immeasurable value in teaching a child to create something from scratch. I spent a few days observing craft education classes and I left feeling like I had found the missing link to education! My education in this area started in a 4th grade class where students were sewing mittens on a SEWING MACHINE! The class started with the students sitting at their desks. They had already retrieved their projects and were waiting eagerly to get to work. The teacher introduced me to the class and then she simply said, “Ok, you may start working.” The students immediately sprang into action. They didn’t ask her a million questions of what was next, or what they should do. And even though they were all at different parts of the construction process, they all knew what they personally needed to get done and they got to work. After the 4th grade textile class I went downstairs to watch the corresponding 4th grade woodworking class. Here the students were making doorbells. 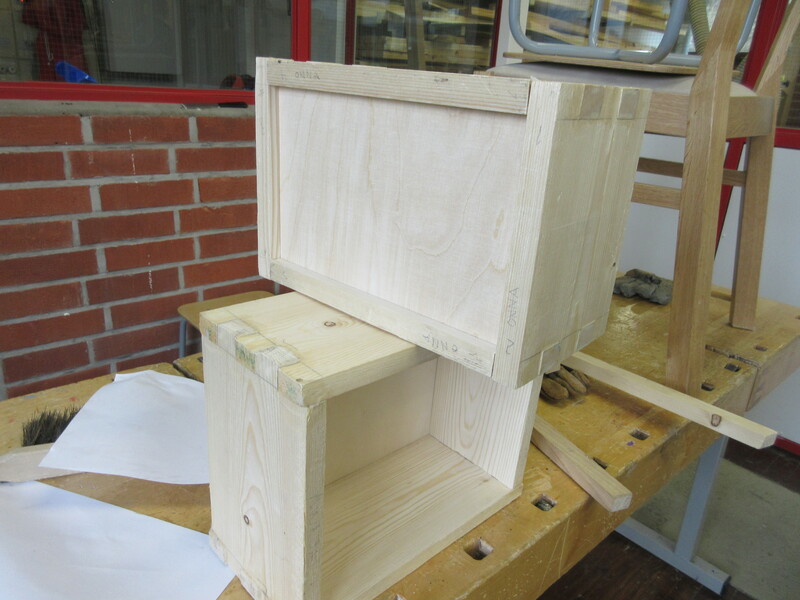 They had made the wood frame from scratch, nailed it together and were now in the wiring process. 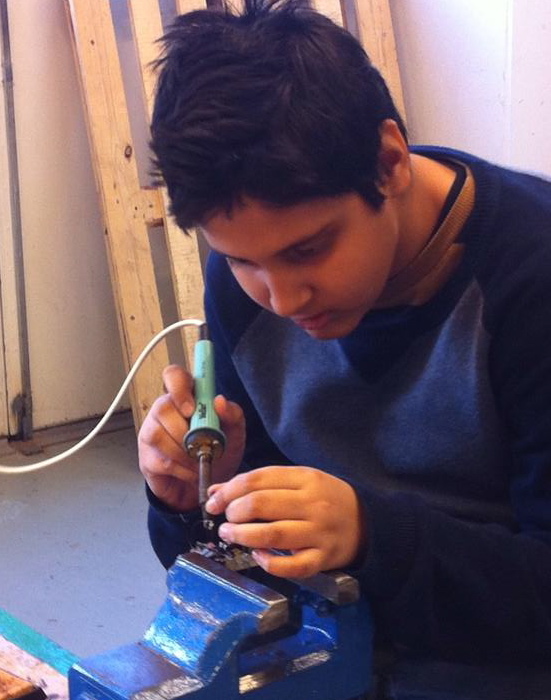 I watched as a 4th grade boy used a soldering iron to weld together two small wires in his doorbell. The teacher was not even in the same room! The teacher had taught the processes previously and simply trusted the student to follow the instructions. I then visited a cooking class, a knitting class, a cleaning class, and another woodworking class. The more I saw of craft education the more convinced I was of the fact that this is Finland’s hidden gem when it comes to education. 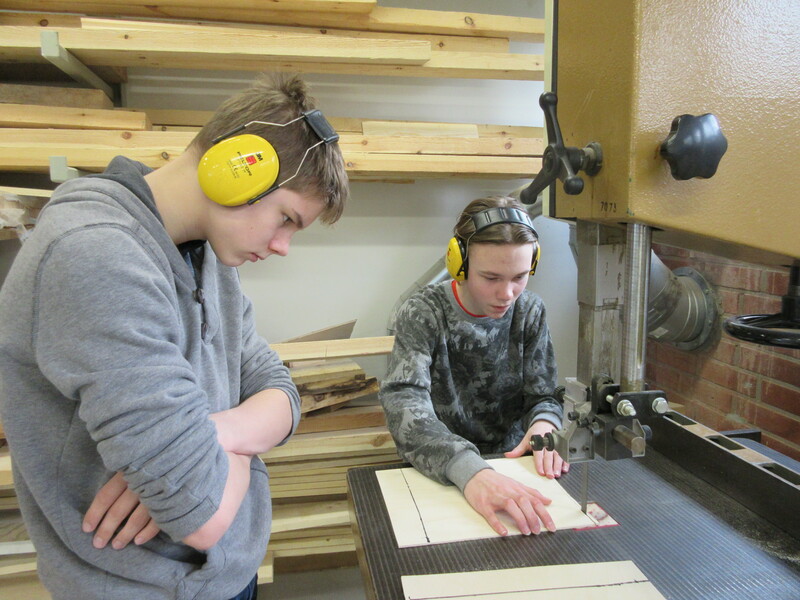 What can we learn from Finland’s Craft Education? Behind any created object there is usually a game plan or design. It is imprudent and almost impossible to start making anything from scratch without a strategic and logical plan of action. The development and understanding of a strategic design is the foundation of craft education and a very valuable part of the education process. Craft education helps mold and develop the child as a strategic and logical thinker. It provides the student real life applications though projects that allow them to create a blueprint to find a solution to their problems. These are not skills that can be gained from memorizing facts from a book. And you can’t regurgitate this information on a test. Instead it trains students’ brains to naturally conquer tasks in a systematic linear progression. This is what we want our students to be able to do at the end of their academic career. Yet it can only be gained from the practical application of doing something, building something and creating something. Finland understands this. We can all agree that creating a strategic plan is essential to fixing or building anything in life. However, we also know that things don’t always go perfectly according to the plan. There are inevitably going to be problems and obstacles along the way. This happens on a daily basis in a craft education classroom. And when something goes wrong with a student’s project it is up to the student to figure out how to fix it- not the teacher. The students in this type of classroom are constantly forced to adjust and then readjust their plan along the way. This was most apparent during my visit to a 7th grade woodworking class where they were piecing together the wooden boxes they had spent the last several months creating. 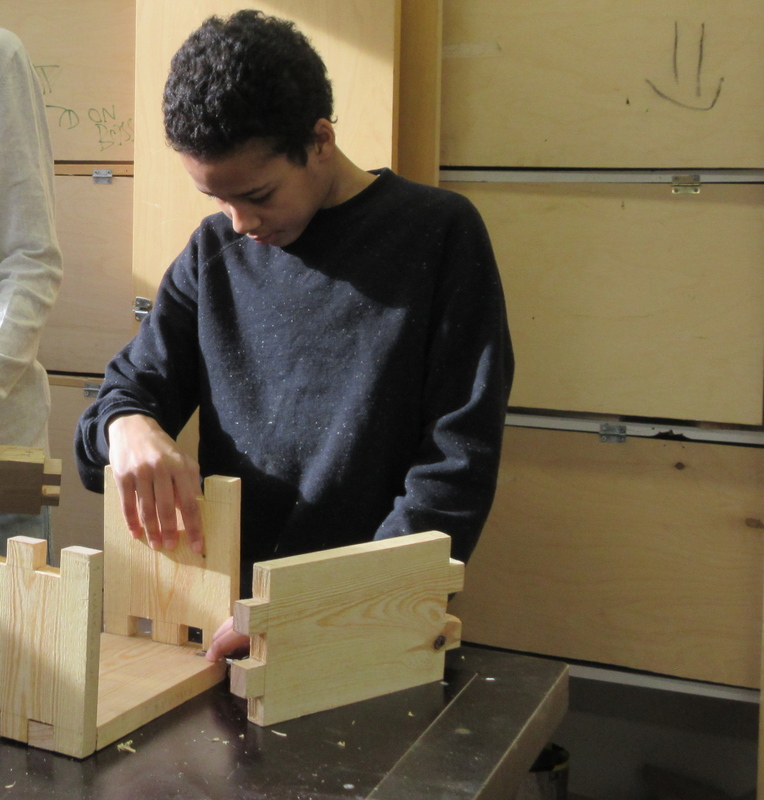 The students were learning the skill of joinery, a method that uses no nails just a precise series of interlocking joints. This technique requires precision and careful attention to detail. 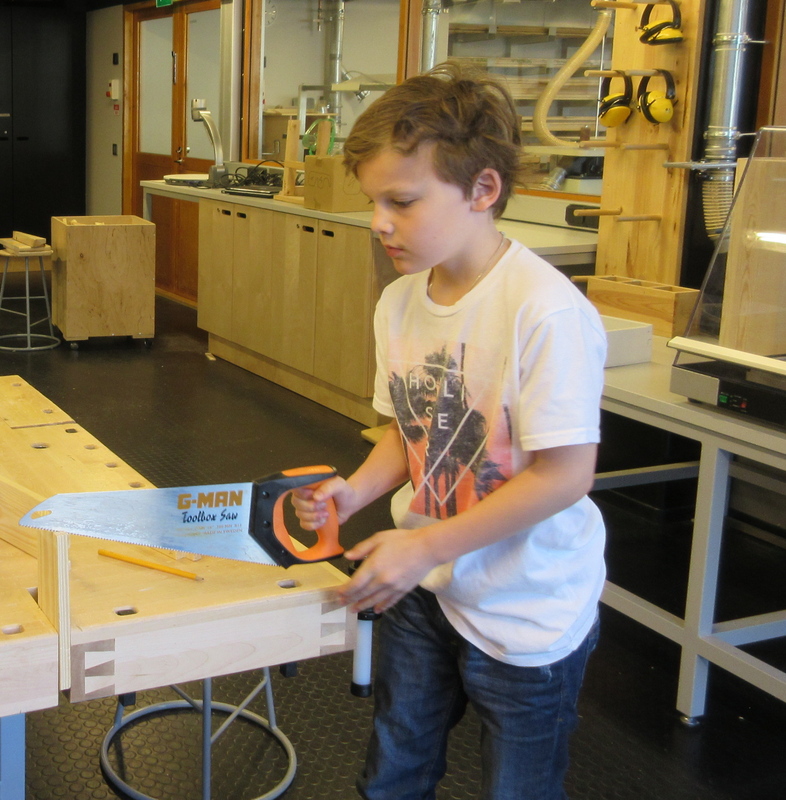 The students worked diligently because they knew each side must be measured and cut perfectly. However, when they put the boxes together some noticed the joints were not fitting as well as they would like. Therefore they needed to figure out which parts to chisel off in order to create a perfect fit. They saw a problem and they had to figure out how to fix it. This is how problem solving should be taught. 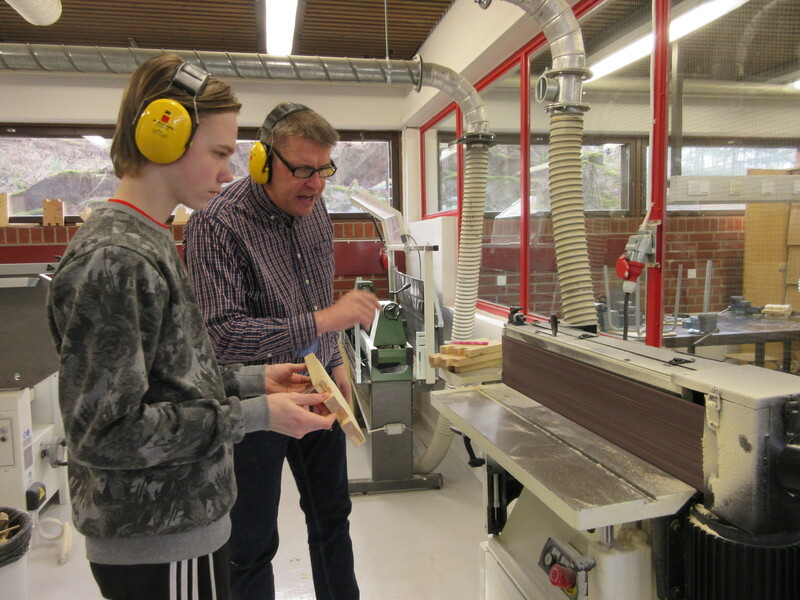 Something that I found really intriguing was how skilled the students were at using the tools and machines necessary to perform their needed task. Sometimes these were very dangerous or complex pieces of equipment. I saw students using equipment ranging from soldering irons, jigsaws, drills, hand saws, hammers, expensive sewing machines, ovens, industrial sanders and much more. I told a group of third grade students using a sewing machine how impressed I was with them and that I had no idea how to use one let alone how to thread a bobbin. They thought that was hilarious. I am an adult after all! I should know how to thread a bobbin! Any child can do it. Thankfully a 3rd grade boy took me over to his sewing machine and showed me how it was done so that I wouldn’t embarrass myself next time. 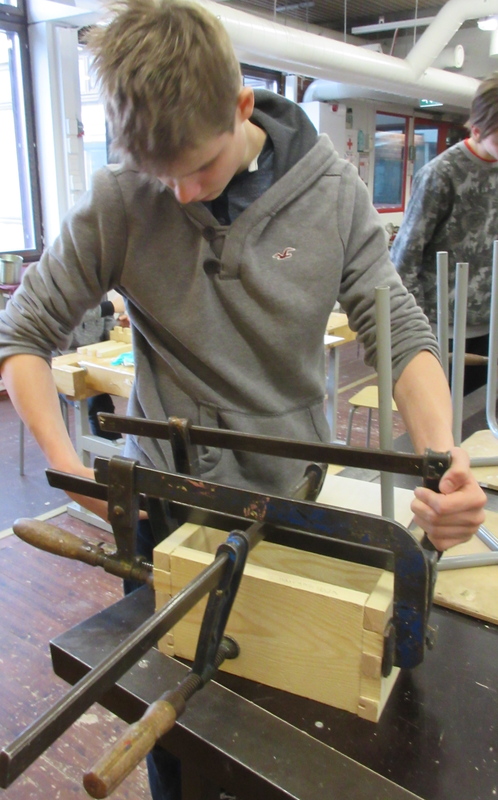 In the wood working class a few students asked the teacher if they could use the industrial sander to finish their box. The instructor said yes and showed the students how to use this very intimidating tool. He demonstrated with a piece of wood that it would take less than two seconds to sand off the top part of their fingers and how to avoid that accident. Then he left them to do the task on their own. I was amazed. It should also be noted that this is also due to Finland’s underlying trust in students. My American mind was in a state of panic most of the time I was in a woodworking class. I kept thinking- You can’t trust a 7th grader to run that dangerous machine without an adult supervising his every move! However, the teacher trusts the students to follow the safety procedures and guidelines. It is expected that the student will follow the rules and therefore the teacher allows the student to actually do the work. Not only do students know how to use the equipment they are also trained in how to take care of and clean the equipment. 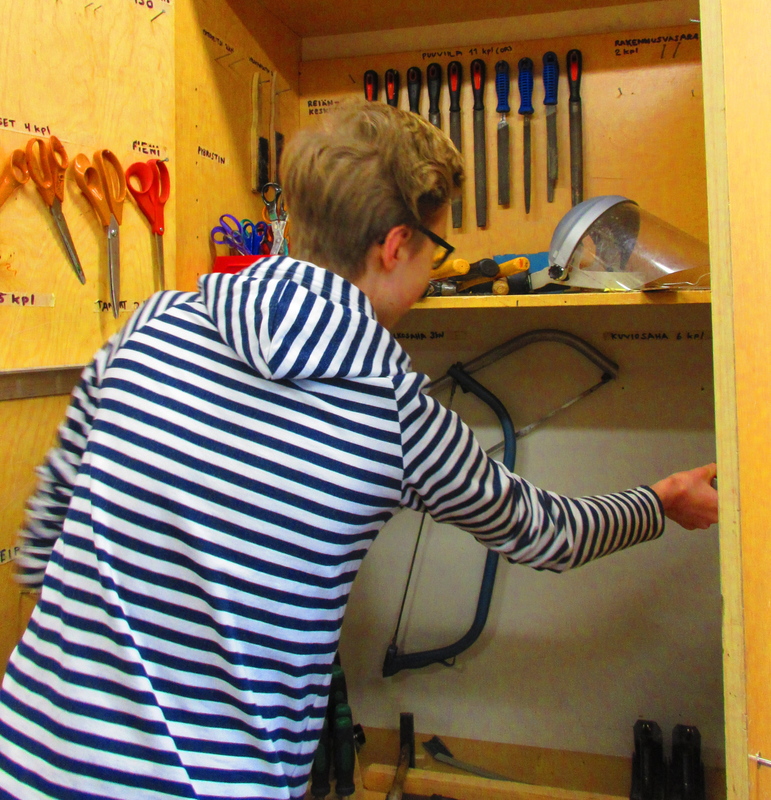 At the end of the day the students are expected to clean and pack up all of their tools. This is another valuable lesson. Craft education teaches students how to think and work independently. They have the freedom to make and learn from their mistakes. There is no micro managing in Finnish Education. The students know what they are supposed to do and are then given the freedom to do it. This is a skill that carries over into all other academic fields. 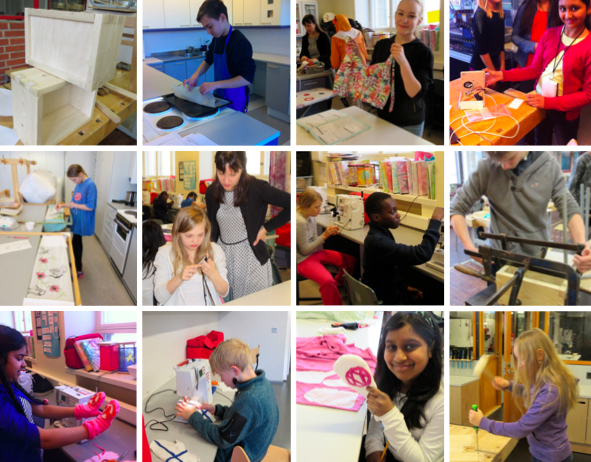 I have noticed that Finnish students are very good at independent work and I think that craft education is the reason. Not only does working on independent projects teach a student how to work on a task until it is finished, the skills themselves teach students how to be independent and do things for themselves. 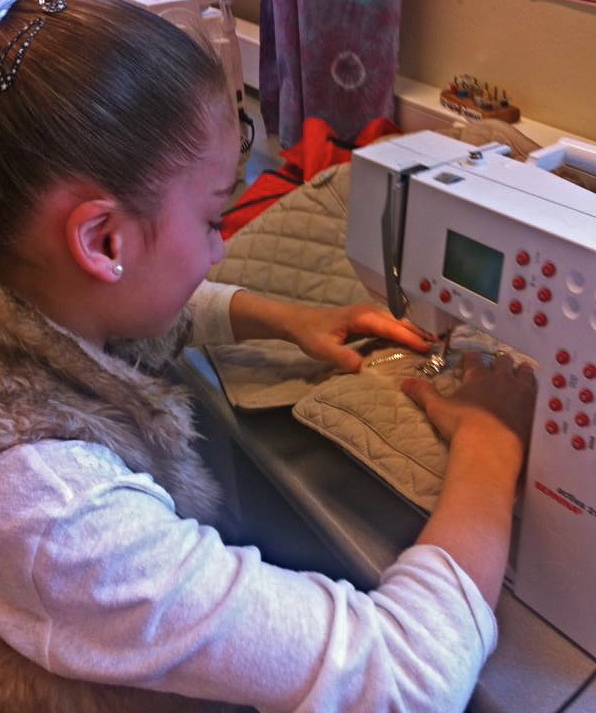 At the beginning of a 5th grade class I noticed one girl got to class a little early to use the sewing machine. She had ripped her coat pocket on the way to school and needed to patch it up. She didn’t ask the teacher. She didn’t complain. She went to the machine, threaded the bobbin and fixed it herself. 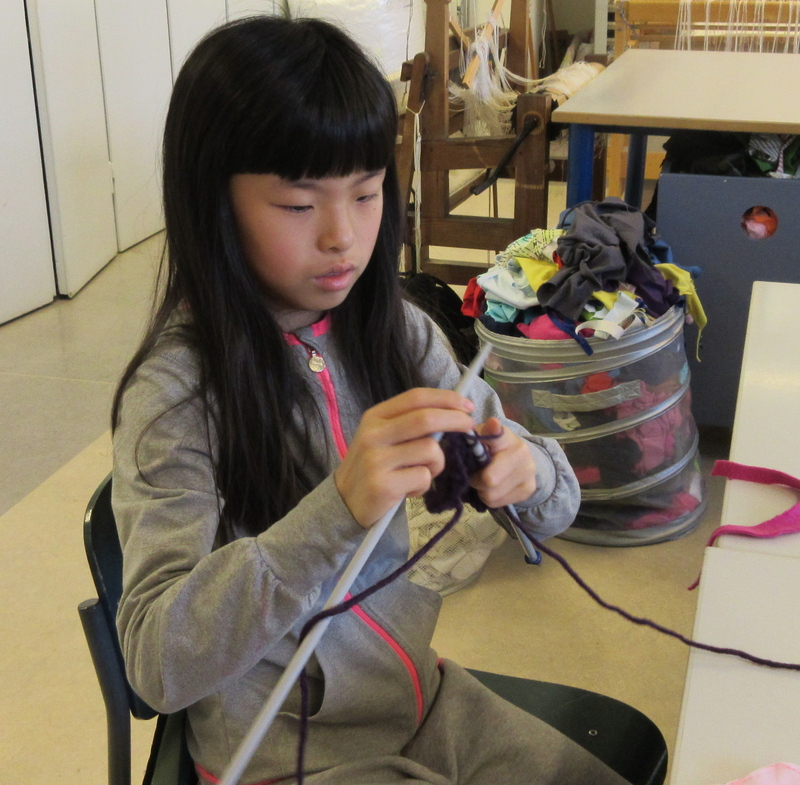 Knitting and crocheting are also skills taught to all students at a young age. Again this sounds like a skill reserved for little old ladies not young nimble children. However, all of the recent neuroscience claims that there is a direct correlation between fine motor skills, hand eye coordination and the development of the brain. It also teaches students to concentrate and focus. I have heard about teachers in Finland giving a knitting project to a boy who has problems with sitting still and listening in class. This gives him something to do with his hands, teaches him to focus and also allows him to listen to the lesson. This is a great skill to have! Plus, you end up with several beautiful scarves and socks. What I love most about craft education is that it takes away gender stereotypes. 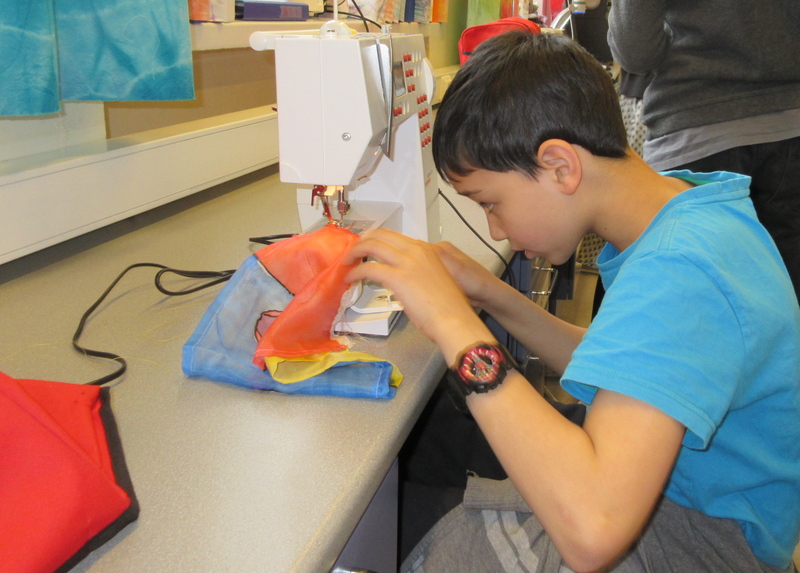 Both boys and girls learn how to knit and sew and cook. 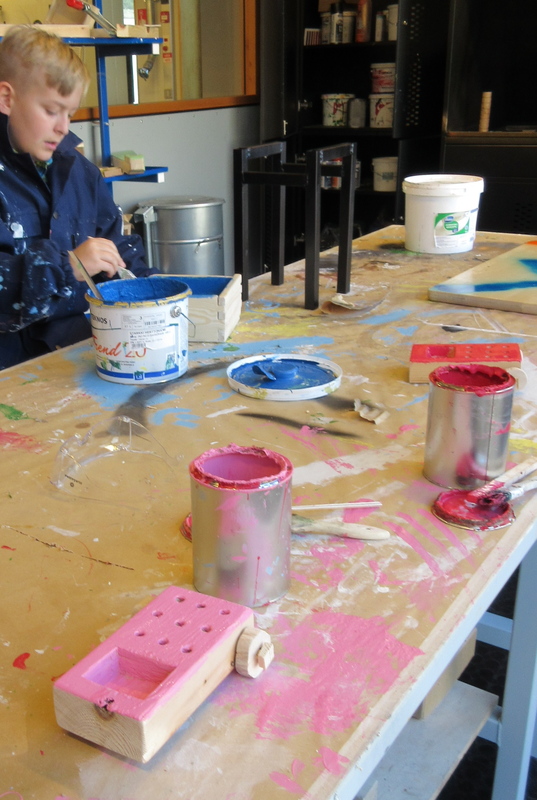 Both boys and girls learn how to woodwork and hammer and use power tools. They are seen as equally important skills and not just for one gender or the other. I asked some boys if they liked their textile class. 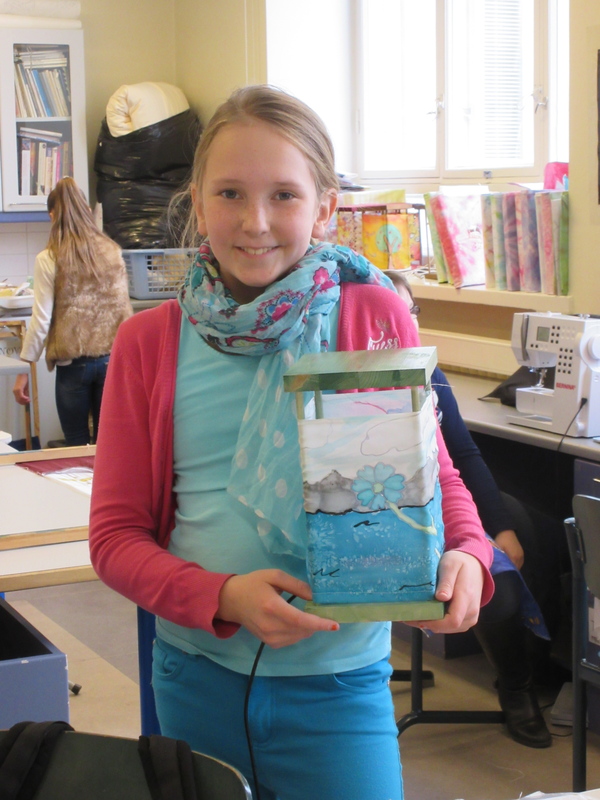 They said they liked the lamps shades they were designing and seemed to be genuinely proud of what they had created and how they had made it their own. I talked to some girls about if they liked woodworking class. They loved it. They said they really liked using the power tools. I asked them which one was their favorite. The girl answered the drill. She then went over to the cabinet got out two drills and she and her friend did a contest to see who could drill through a piece of wood the fastest. My head was still reeling at the fact that these 3rd graders were using power tools! I mean this is so cool! Ok, I had to throw this one in there as a math teacher. Students use a lot of math when they are measuring, designing and planning their projects. I saw a group of older students designing a greenhouse for the school. They were using trigonometry to figure out the angles of the greenhouses design and placement in the lawn. They also use math when they are cooking. I can’t tell you how often I am amazed at the number of 7th graders in my U.S. classroom who have no idea how to use a ruler or a measuring cup. They simply have not been asked to use these objects regularly and they just can’t do it. U.S. students never get to use math in real life applications. We don’t have time for it. The result is that students don’t see the practical use for mathematics and therefore disdain it as a subject. Sometimes I feel like we are too busy teaching students math to let them use the math. Craft education allows them to see first hand how mathematics is used and applied in the real world. It shows students instead of just telling them that math is important and applicable to their lives. The projects the students are working on in these classes cannot be finished in one or two lessons. They are often the result of months of hard work. It often takes an entire term to do just one project. This teaches students patience and perseverance. We live in a society obsessed with instant gratification. Making something, especially something worthwhile, is often a slow and tedious process. Delayed gratification and the ability to stick with a project until the very end is an important life lesson to teach students. When I was observing a cooking class, one group of students finished before the others and the teacher asked them to pick up some materials from the store for the next lesson. 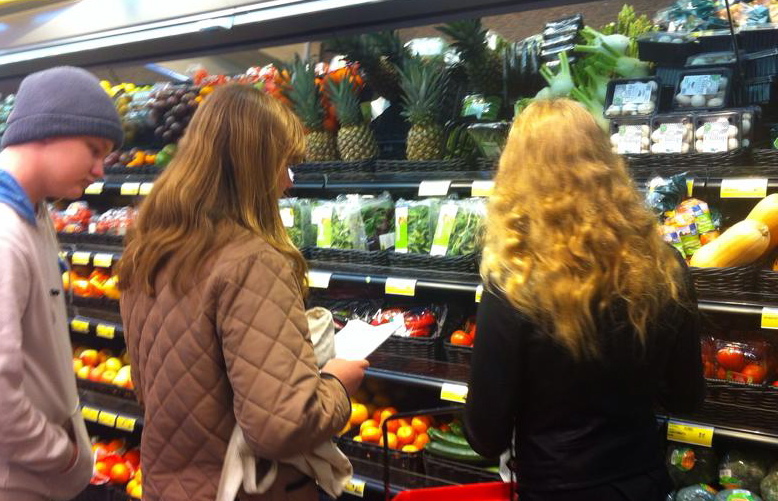 She then gave a group of four 8th graders a shopping list, her credit card and sent them on their way. They left the school campus, walked a few blocks to the store, got the materials and returned 20 minutes later. Again, there is this all encompassing feeling of trust that does not exist in the U.S. We would NEVER allow students to leave school grounds in the middle of the school day unsupervised- let alone take a prepaid card and go shopping without parental consent! It just wouldn’t happen. We are too worried about lawsuits and accidents. I am realizing just how paranoid we are in the states. The biggest takeaway from my experiences in a craft classroom was the very apparent pride displayed on the child’s face as they showed me their project. They had made something. They accomplished something and they take great pride in that. They also have the confidence to know that they can build or fix something in the future. There is no need to ask someone else to fix something that is broken. This self confidence and pride is a gift that will stay with them their whole lives. I have talked to some adults who remember their projects from when they were children. A 30+ year old man bragged about awesome soccer knee pads he made in middle school and how his children use them to this day. When you make something you take ownership of that item in a very unique and powerful way. Finland understands the power of creating, fixing and building. It gives students the life skills and confidence they need in order to be successful in life. It gives them the developmental tools to become life long thinkers, independent workers, strategic planners and logical problem solvers. Instead of removing these programs from our U.S. classrooms we need to be incorporating them at a younger age. Kids need to see the practical applications of their education. Instead of just talking about the importance of problem solving or adding a few story problems to the end of our lessons, we need to actually give our students something worthwhile to create, to build and to call their own. We need to let them USE their education. Students in Finland are incredibly independent and self motivated. When they are asked to perform a task they don’t wait for someone to tell them specifically what to do and how to do it. They don’t feign incompetency so that someone eventually does the task for them. And when something is put in front of Finnish teenagers they get started on it right away with almost a sense of relief instead of complaint. It is as if most of them were simply waiting for the teacher to stop talking so they could start the work. 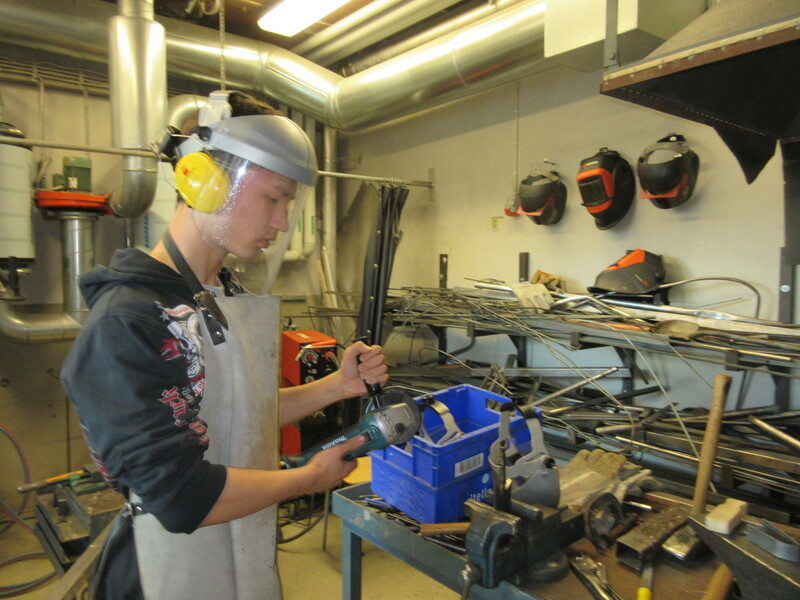 As far as I can tell, a typical Finnish student would much rather be working than listening. I am not the only American teacher who has noticed this marked difference between Finnish middle school/ high school students and those found in the U.S. We have all been initially extremely bothered by the amount of Finnish teenagers on their phones during classroom instruction. Instead of listening to the class lecture, a good majority of the Finnish students are watching videos, playing games, texting or on facebook. Most teachers don’t seem to mind and they definitely do not confront the students or redirect them during lecture. ( To be fair, some teachers have a stricter cell phone policy than others, but on a whole in-class cell phone usage is a LOT higher in Finland than the U.S.) As an American teacher seeing kids on their phones in class feels like bugs crawling all over my skin. It takes everything in me to not ask the students to put away the video game and listen to the teacher. I have asked a few teachers about this and they simply state that it is up to the student to decide if they want to listen to the lesson. It is not the teacher’s job to force them to pay attention. The teacher then said that these students (14 to 18 years-old) are seen more like adults than children. They explained that it would be inappropriate to force an adult to get off of their phone or take a phone away from them during a professional lecture or meeting. They give that same respect to these teenagers. The phone is their personal property. The students have the choice to listen or not listen and the consequences will be found in their overall marks. That trust in the student to make their own choices is astounding and so foreign to me. We have all heard the phrase; “You can lead a horse to water, but you can’t make them drink.” However teachers in the US are trained to believe it is our duty to force everyone to “drink the water”. It is seen as a personal failure if we can’t get our students to decide to learn. I feel like the amount of students not listening to me in my class is a reflection of me as a teacher not a reflection on the students as learners. In Finland it is the opposite, the decision to learn or not to learn is made by the student, not the teacher. hmmmm. All the same, it still really bothers me when they are playing video games/ watching movies during class lecture. HOWEVER, those same kids who were distracting me the whole lesson with their phones put the phones away VOLUNTARILY when they are actually given something to do! As soon as a tangible assignment is placed before them they start working and paying attention. All of the phones get pushed aside and the learning begins. They also know that these assignments are more than likely not going to be collected or graded. No one asks how many points the assignment is going to be worth. No one asks if it is going to be for a grade or how many of the questions they have to do to “pass”. They are doing these assignments because they were asked to do them. If they finish with the suggested math problems they may even look in the back of the book for more practice problems. This is the exact opposite of an American classroom where kids pay attention (or at least pretend to listen) during the lesson, but then do not do the work after it has been assigned. For some of them it is like pulling teeth to get them started on the work, others rush through and try to get it done as fast as possible without any real thought or effort. During the work time is when they are tempted to be on their phones or talking to their friends. ( Maybe this is also because we don’t give them any breaks during the day.) They also inevitably ask me if the assignment is going to be for a grade and how many points the assignment is worth. They need to know to what extent the assignment will affect their grade, so they can choose if it is worth doing or not. Grades are not that big of a deal in Finland. I have tried to talk to some students and teachers about grades and how their grades are earned and it doesn’t seem to concern either the students or the teachers too much. In Finland the competition for grades isn’t really there. None of the students really know who makes “good grades” and who makes “bad grades”. I mean they can tell you who is smart/ works hard, but the grades are not the “end all be all” of a student’s existence. I know growing up I found most of my identity in those A’s I earned. I worked like a maniac to make sure that I earned a perfect grade point average and I felt like a failure if I lost even a few points on an assignment. It didn’t matter how much I actually learned on that test that was an A- instead of an A+……all I could see were those points I missed and I instantly tried to calculate how much it was going to affect my overall grade and how much I needed to do to earn more points to compensate. This is our problem. We have trained our students in the U.S. to see an assignment in terms of monetary value, where grade point average is the currency. Even the best students don’t do the work because it is going to help them learn, they do the work because it is going to give them points (money). In a truly American style we have systematically removed all intrinsic value of learning and exchanged it for a capitalistic incentive. Those with A’s have worked hard, earned the points, put in the hours and hours of work and by all measurable means are “successful”. Those who don’t care or buy into the grading currency system didn’t do the work because it isn’t important to them to save up “A”s in the bank. And no amount of coaxing them to do the work will help. They simply don’t care what is in their academic “bank account.” They don’t see how that “bank account” is going to help them in the real world and they don’t want to waste their time doing what is perceived as arbitrary work. The book Freakonomics describes the social implications of exchanging a moral incentive with a fiscal one. The book says that when society gives a monetary value to something that was once perceived as a moral obligation, society looses that moral obligation forever. The book talks about how a daycare, who was fed up with tardy parents, started charging a late fee. However, the fee made parents more likely not less likely to be late. Before the fee, parents felt guilty for being late and really did make an effort to be on time. However, the fee took away the moral obligation in the minds of the parents. The fiscal incentive was not as strong as the moral one and once the guilt was removed parents were willing to pay more to have their children stay longer. The daycare took away the fee and tried to go back to as it was before, but what they discovered is that once that moral incentive was taken away, it was gone for good. In our grading focused, exam-centric, data driven education system we have removed that moral incentive to learn from our classrooms. In an effort to “trick/ force” our students to learn we assign points and grades and homework. Hundreds of points can be assigned to one project if we really want them to do the assignment. What we gain are stressed out students with too much homework, teachers with tons of grading and students who simply give up. We give our students all of these inauthentic incentives to do the homework but we never show them WHY they need to LEARN the material. I wonder what would happen if we took a page out of Finland’s book and we assigned less. What would it look like if we took the pressure away from the students. Maybe instead of just trying to get the work done and fill in the correct blanks so that they can get the “points/ gold star” they would think about the content. Maybe instead of assigning so much work that they must stay up past midnight every night just to get it all done, we can give them a few assignments in class in which they can authentically attempt to understand. Maybe if we gave them the freedom and choice to learn or not learn , they would actually take school more seriously. Maybe if we slowed down and did less, we would give the students the option to really learn the material and the content just for the basic joy of learning. Maybe then our students would learn for learning’s sake!